The Hobie Cat 21 is equipped with a powerful rig. 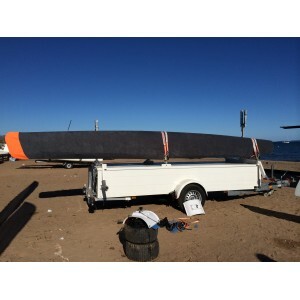 This Catamaran is quick but is less sporty than Formula 18s. Its wings and width allow it to sail fast without necessarily being on the trapeze. It is well suited to do some raids due its speed and comfort.